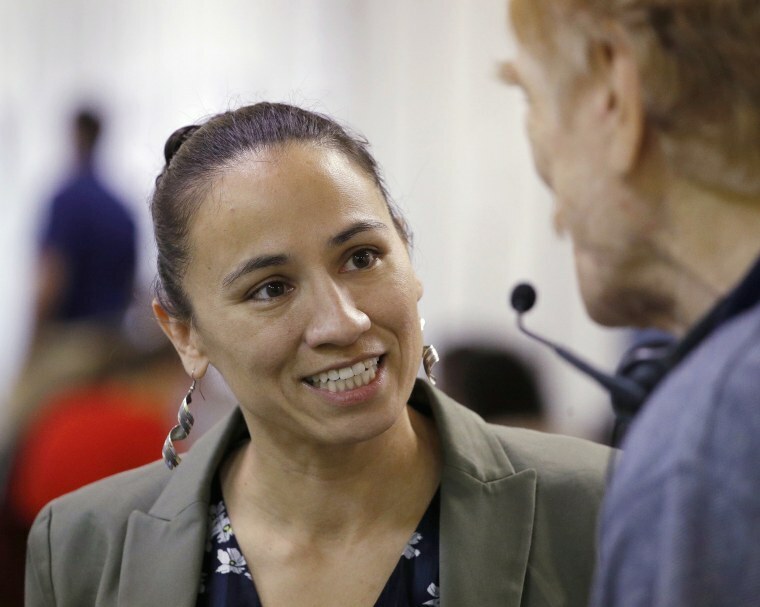 A Republican official in Kansas has resigned after GOP colleagues condemned his social media attack on Democratic Congressional candidate Sharice Davids. SHAWNEE, Kan. — A local GOP official has resigned his party post in Kansas after fellow Republicans condemned his social media attack saying a Native American congressional candidate will be "sent back packing to the reservation." The Kansas City Star reports that Michael Kalny of suburban Kansas City resigned Wednesday as a Republican precinct committee member. In his Facebook message, Kalny called Democratic candidate Sharice Davids a "radical socialist kick boxing lesbian Indian." He sent the message Monday to the president of a local Democratic women's group. Davids is an LGBTQ lawyer and member of the Wisconsin-based Ho-Chunk Nation running against Republican Rep. Kevin Yoder in the state's 3rd Congressional District. She also has fought mixed martial arts bouts. Yoder's spokesman and the Kansas GOP's executive director repudiated Kalny's remarks. Kalny did not return a telephone message seeking comment. If Davids defeats Yoder on Nov. 6, she will be the first openly LGBTQ member of Congress from Kansas and the first female Native American elected to Congress, according to the Victory Institute, which tracks and supports LGBTQ political candidates.